Doctors have found that even when children with ADHD get the recommended hours of sleep they wake-up more tired or it is harder for them to wake-up than the children without ADHD who got the same amount of sleep. On further observation it was found that children with ADHD move more in the night making it harder for them to reach the deep sleep that they need to be well rested . One possible reason for this could be stimulant medication that is often used to treat the symptoms of ADHD. There are some great natural substitutes for Adderall. One of the most common side effects of stimulant medication is insomnia, the inability to sleep. This seems like a nightmare for parent of kids with ADHD who already have difficulty sleeping. You have probably asked yourself, what can be done? One of the best things that any parent can do for their child is help them to have good sleep hygiene, meaning having a good bedtime routine. However, sometimes a bedtime routine is not enough, especially for children with ADHD. 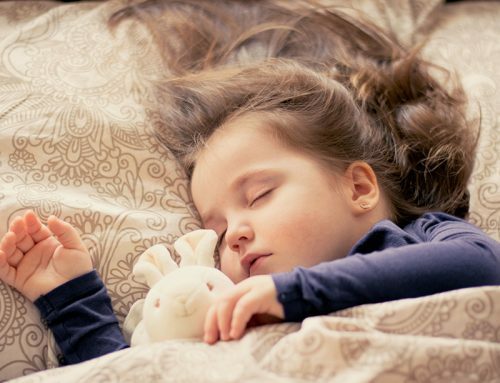 If you pair this bedtime routine with melatonin the results for the parents and children who experience sleep problems weather or not the child takes stimulant medication are amazing. In one study the use of melatonin for children with ADHD decreased the time that it took to fall asleep from 60 minutes to 16 minutes (give or take a couple minutes from study to study) . Studies have also shown that melatonin has little to no side effect. The most common side effect is vivid dreams but is rare. If you are a parent considering using melatonin but aren’t sure how much to be giving to your child, read “Melatonin Dosage for Children”. Stein, Mark A., et al. Advances in Pediatrics., U.S. National Library of Medicine, July 2012, www.ncbi.nlm.nih.gov/pmc/articles/PMC3441938/. “How Much Sleep Do Babies and Kids Need?” National Sleep Foundation, sleepfoundation.org/excessivesleepiness/content/how-much-sleep-do-babies-and-kids-need. Van der Heijden, Kristiaan B, et al. Effect of Melatonin on Sleep, Behavior, and Cognition in ADHD and Chronic Sleep-Onset Insomnia. American Academy of Child and Adolescent Psychiatry, 2007, www.jaacap.org/article/S0890-8567(09)61831-1/abstract.